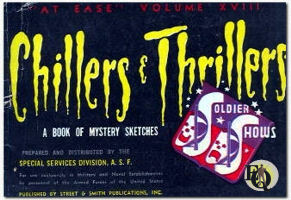 Chillers and Thrillers: A Book of Mystery Sketches. 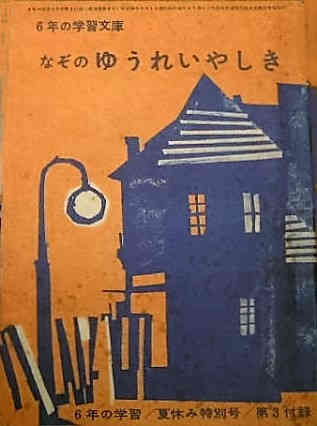 1945, published in oblong soft cover format by Street & Smith Publications. Prepared and distributed by the Special Services Division, A.S.F. (Army Service Forces) Volume XVIII in a series of “At Ease” paperbacks. No editor is stated. 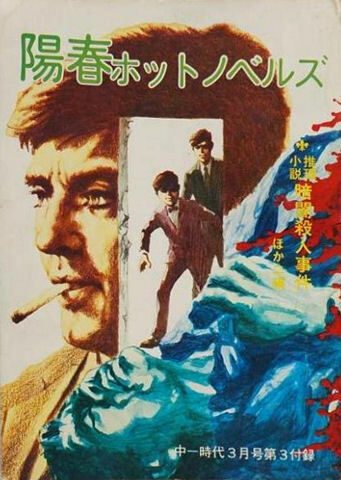 p 51 - "The Adventure of the Blue Chip"
p 72 - "The Adventure of the Foul Tip"
p 90 - "The Adventure of the Glass Ball"
One of the biggest problems in my continuous search for Foreign covers for Ellery Queen editions is not so much the language. As long as the Latin letters are used everything is pretty basic. The problem starts when an other alphabet is used: Greek, Hebrew, Cyrillic and Arabic alphabet come to mind (I'm not even including Eastern symbols). .. The exact original titles are the problem. For translation of the accompanying text I used a translation 'robot'. This sometimes results in enigmatic gibberish or simply to generic a title. It proofs to be a pleasant challenge in itself... The game's afoot! If you have suggestions or similar covers do contact us! Here are some covers from Japan. What are the original titles for these Japanese editions by クイーン、エラリー ? 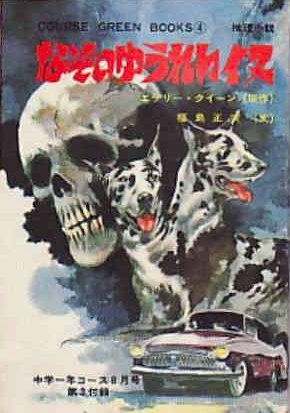 translates as "Dark Murder Case"
translates as "Mysterious Grieve Dog"
We are also looking for better versions of the covers for both the Indonesian version of Dituduh membunuh (The Murderer is a Fox) and Rahasia Tandjung Spanjol (The Spanish Cape Mystery). Here are some covers from Greece. 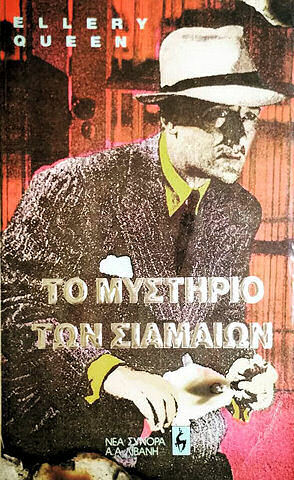 What are the original titles for these Greek editions by Έλλερυ Κουήν ? 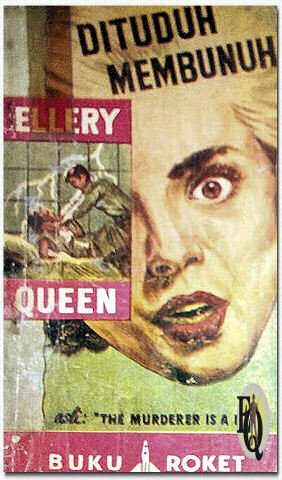 I have scans most of the covers of these books. However I don't actually have all "English" editions in my library. Not by far. I'm not into collecting first editions. However If I were to be able to obtain some good reading copies I'm interested... try me out! Who Spies, Who kills ? There is a wanted page up in Dutch, so if you're up to it go there. If you have crisp copies of editions in your country and could mail me a good scan (height of the image at least 768). The Q.B.I. section will point out which scans I have or don't have. Perhaps in some foreign editions there might be some special artwork which might be considered special? Let us know! But it's not all scans we want. 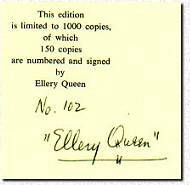 We have been well aware of EQ international appeal and it is a painstaking work to catalogue all foreign titles on the correct page of it's original volume. If you could contribute here please do. Again the in-depth pages in the Q.B.I. section (Click on a cover and then navigate to the bottom of each page) list the current known international titles.